Hundreds of thousands of Catholic Church members under the auspices of Catholic Laity Council in South East and South-South have endorsed the aspiration of People’s Democratic Party’s candidate in this week’s General elections, Alhaji Atiku Abubakar and his running mate , Mr Peter Obi. 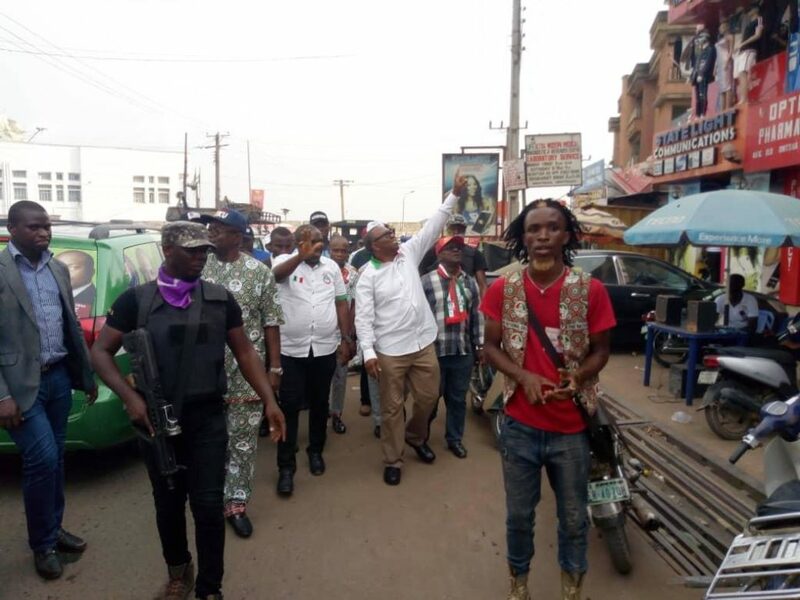 The endorsement came while Peter Obi and his supporters led by Chairman of Atiku-Obi Presidential Campaign Council in Anambra, Oseloka Obaze and Director General of PDP Campaign Council in Anambra state , Dr Harry Oranezi were on a road show through Madonna Catholic Church , Agulu, Anaocha council area of Anambra state. According to a former President of the Onitsha Province who coordinated the Catholic Laity, Dr Fidelis Aghamelu, the Laity council came from Onitsha Province, Owerri Province and Calabar province to endorse Atiku and Obi. Dr Aghamelu said the Laity Council from the Provinces unanimously and unequivocally endorsed Atiku/Obi joint ticket after a thorough review of things an saw that the pair of Atiku and Obi are destined to rescue Nigeria rom the present agony. He said Nigeria is heading to the precipice with President Buhari and Prof Osibanjo at the helm of affairs, hence they discovered that the destiny of our people is dangerously been castrated by the Buhari administration. He decried the public policies and programmes of the Buhari led administration clearly indicate a very dangerous phenomenon of the existing government tilting in favour of Islam. The road show attracted a massive crowd made up of traders, students, artisans and people from various walks of life as organized by the People’s Democratic Party (PDP) in all the parts of the state to create awareness among the people of the state concerning the February 16 Presidential and National Assembly elections. 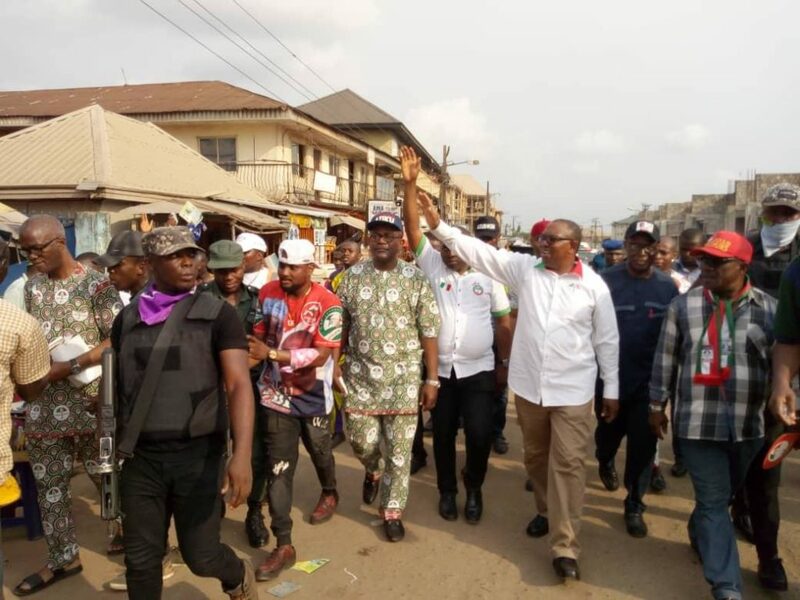 The road show saw the leadership of PDP in the state and the Campaign Director, Dr. Harry Oranezi, Chairman of Atiku-Obi Presidential Campaign Council in Anambra, Mr Oseloka Obaze with others crisscross through the major streets of Awka, Agulu, Nise, Adazi, Nnobi, among others, with the mammoth crowd. The road show was led by the Vice Presidential Candidate of the PDP, Mr. Peter Obi. Meanwhile, the Vice Presidential candidate of the People’s Democratic Party (PDP) and former governor of Anambra State, Peter Obi has assured that his party, the PDP if elected to the presidential seat, will return Nigeria to path of economic growth. Obi flanked by Obaze and Oranezi among others spoke with newsmen at Udoka Housing Estate, Awka, shortly before continuing his road show campaigns across different parts of Anambra State. He said the country has suffered serious economic set back under the All Progressives Congress (APC) since 2015, making Nigeria rank the worst in indices of poverty and development. He said voting back the APC would mean “prolonging the suffering in the land,” and assured that with Atiku Abubakar at the helm of affairs, the days of economic prosperity will return and the citizens will smile again. He said he would, also, use the governance model he employed during his tenure in Anambra State to complement Atiku’s blueprint, where “Nigeria will work again. “Nigeria has the highest number of poor people in the world today, where about 90 million are poor; that is half of the population. “About 21 million youths are unemployed. Nobody is happy with the situation in the country, today, and any person who is happy with the situation is not a normal human being. PDP is coming back to restore happiness and lessen the sufferings of the people,’’ he said. Earlier, Chairman of Atiku-Obi Presidential Campaign Council in Anambra, Mr Oseloka Obaze, said the PDP is coming with positive ideas on how to rebuild Nigeria. In a related development, Obi has said not even electioneering, in preparation for the forthcoming election would stop him from his routine visit to schools. After a question and answer session with the students, Obi assured them that the Atiku-led government will make education a priority. “Atiku is education-friendly. I’ve had many sessions with him on how we would tackle the problem of education, in order to get it right. “He is saddened by the continual strike by lecturers of higher institutions, and he is determined that under him, such would become a national pastime. Of course, he has asked me those things we did to improve education in Anambra State and he is ready to apply them nationally. Speaking on behalf of the students, the Senior Prefect, Master Onyekachukwu Obasi, thanked Obi for his wonderful stewardship in Anambra. He said it was under him that their school got brand new buses, computers, generators and internet connectivity, among other necessary infrastructure.